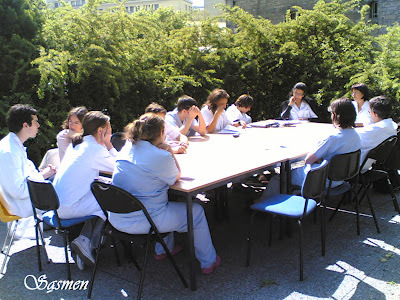 SAMA: A Medical Meeting "en plein air"
We are bored from cubic rooms, but mainly from cold lights! We can do our "bronzage" even in the center of Paris! And why not? can't docs have some fun?! By the way, i was not late to the conference!